Shown: 14kt white gold, 7mm wide cradle with 14kt yellow gold Lensiedel (3.5mm) inside band. The cradle is set with a 1.07ct, 5.6mm Princess cut Ruby and two accent diamonds. 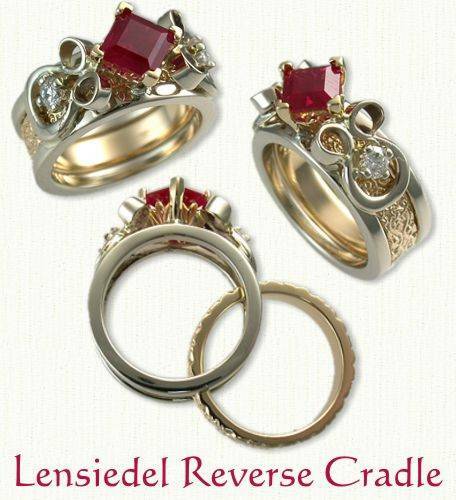 Visit our matching Lenseidel Knot Wedding Bands page for other ideas.